Tastings in our Tasting and Welcome Center can be done Thursday, Friday and Saturday from 1 pm to 8:30 pm and Sunday from 1 pm to 5:30 pm. During music events tasting for the general public stops at 5 pm. The cost of tasting is $12/person and this includes five (5) preselected wines from our current inventory and a reservation is not required. Tastings are free to Club Members. Tasting fee gets reimbursed with the purchase of three wines. Please understand that our facility was built for the enjoyment of adults. We do not have playgrounds or children options. Children under 18 years of age must be with the parent(s) at all times. Therefore, as a courtesy to the majority of our customers we ask that you don't bring minors after 5 pm. 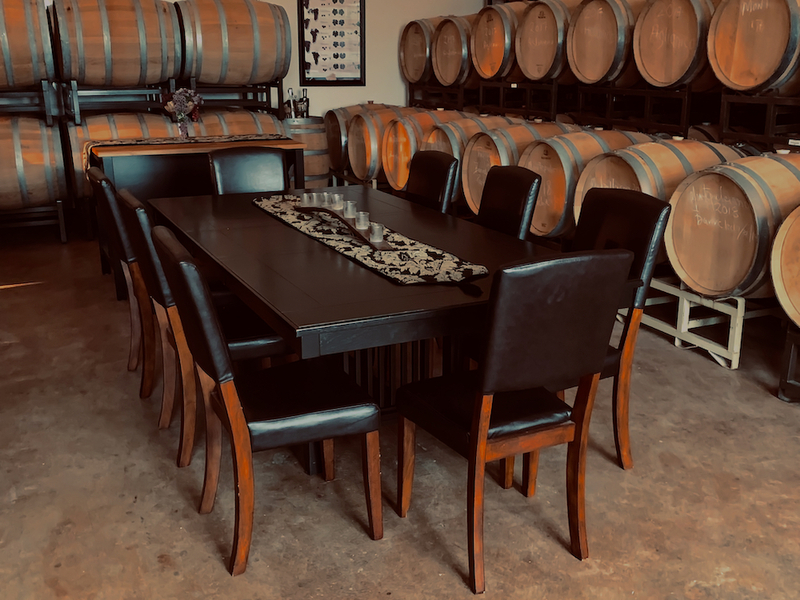 San Martiño Winery and Vineyards offers the option for a seated Reserve Tasting (5 pre-selected wines) in the comfort of our barrel room for up to eight (8) guests. The Reserve Tasting is guided by one of our owners and it is available by reservation only. It can be wines only or it can be a wine-food pairing option. Note: Tastings for Wine Club Members are always free in our Tasting and Welcome Center. To make a reservation for a Reserve/Private Tasting please select an available date and complete the form below. Non-Club Members must provide a credit card to secure reservation.